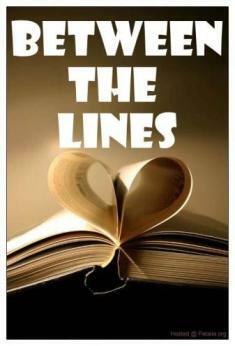 Marc Lacy is best known for his award winning poetry and his conversation inspiring Man-Ologist blog. Now this writer who used his Facebook fan fiction posts to create a cast of zany characters for his debut thriller, Curse of the Whiskey House adds novelist to his resume. "Winner of the 2012 National Poetry Award"
"2011, 2010 Poet of the Year for African Americans On The Moves Book Club Literary Awards"
"Buckle up, and enjoy the ride!" -- Pamela D. Rice, Author of "The Sunday Morning Wife"
This historic Bible Belt homestead located in Hawthorne County, Alabama has a population of 45,000 and is nationally renowned for its fine whiskey. There is an old saying around Lazarus, once you enter the whiskey house, if you should ever come out, your life goes south. Lazarus, a lively city that was once a resting spot for the Buffalo Soldiers, has a lot of heritage, history, and religion. Maybe too much of each. The Hawthorne County Whiskey Stop, the city s most profitable tourist attraction, gets thousands of customers per year from in and out of town. But the Hawthorne County Whiskey House, its counterpart, is anything but good and sacred. Just ask the beloved Mayor of Lazarus, Samuel Justice, who has enough skeletons in the closet to fill the local cemetery. The level of treachery and mayhem spawned within the whiskey house is uncharted despite the fact that Reverend Jackson Jones, the pastor of the Central Baptist Church, owns it. Many believe that a lot of spirits are uneasy and that a curse lingers around Lazarus and Hawthorne County because of the crass circumstances that surround the whiskey house. Across the country, atrocities are committed daily, and sadly many go unreported. Victims are afraid to speak up and witnesses are hesitant to step in. People sound off on social media when incidents are portrayed as a national or international tragedy. However, it is easy to judge, rate, or provide commentary on an incident when there are no forces acting upon you. Sometimes fate tips the scale to the negative side and you are forced to choose between what is right and what you are afraid of losing. Poet/Author Marc Lacy takes a serious societal issue and cleverly implants it within a motley slate of characters, and laces it with a heavy backstory. 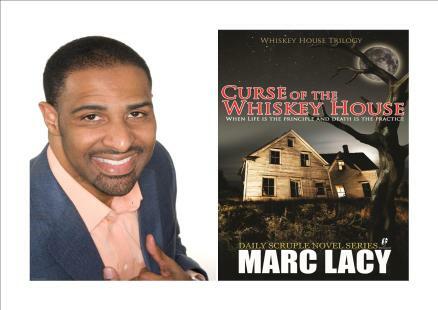 Curse of the Whiskey House is the first book of an action packed trilogy called, The Whiskey House Trilogy. To learn more, please visit www.MarcLacy.com. Two couples, two unhappy spouses—one shocking solution. . .
Five years into her happy marriage, Geneva Mayfield is devastated to find that things have taken a turn for the worse. Her husband, Johnny, is suddenly hard to reach, distant, and works late too often for Geneva not to be suspicious. Is it because she's been pressuring him about having a baby? Feeling lonely and neglected, Geneva bonds with Robert Owens, a colleague who is having marital trouble of his own. Soon, their relationship blossoms into an uncontrollable affair. Bored with her husband, Robert, and dead set against having a child with him, Vivana Owens is biding her time until she's ready to leave—and she's spending it with Johnny Mayfield. It's just a fling—until Vivana becomes obsessed with Johnny, especially once he tries to win back his wife. But affairs don't end easy—and soon one of the unfaithfuls will end up dead, one will end up in jail, and one just might get away with murder. . . Award-winning author Felicia Mason is at her riveting best with this powerful tale of discord and drama among the members of a gospel choir. . .
After eighteen years, Roger McKenzie is questioning his calling as leader of the gospel choir, The Triumphant Voices of Praise. Not only have they failed to achieve the success he craves, their relationships are unraveling, turning them into disillusioned and bitter strangers. . .
Tyrone Thomas has always considered his cousin Roger his best friend. So he can't understand why his own wife, Georgie, seems intent on driving a wedge between them. For Georgie's part, there's something about Roger she doesn't trust. Yet she has secrets of her own—the kind that could destroy her cherished marriage. . ..Pampered, privileged Margaret Hall-Stuart may have the voice of an angel, but she's determined to make a play for Roger- -until someone else in the group opens her eyes to a world she's never imagined. And when Roger begins to receive hateful, anonymous messages, the whole choir is plunged into an ordeal. Now they'll have to confront their pasts, their demons, and their greatest obstacles: themselves. . .